Cars.JimCanto.com: Lashayia with her new 2010 #Ford #Mustang. 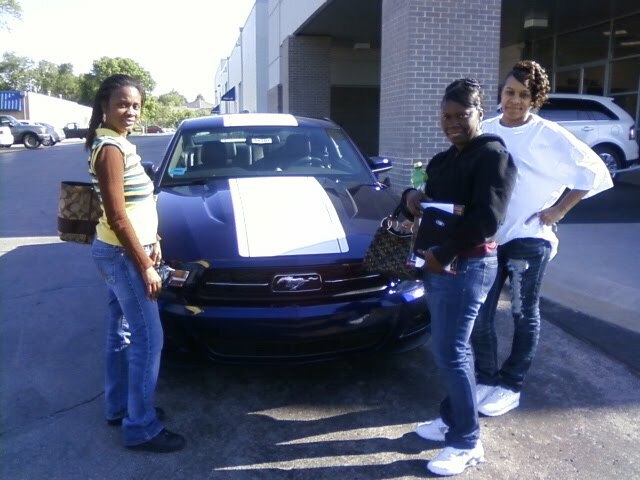 Lashayia purchased her brand new 2010 Ford Mustang right off the showroom floor. Her sisters came in to congratulate her...so it seemed appropriate that they be in the picture with her.